Your CV made the cut and you have been invited for an interview; while you feel like the first challenge is over, the second is impending and that can be the most nerve racking. So, what is the standard interview prep that we all automatically look to carry out? Well, there’s the company research, along with a search of any interviews or thought leadership articles attributed to key figures in the business. Next is the Googling of ‘top 10 interview questions’, to enable you to brush up on the answers that the hiring manager wants to hear from you. To this you could also add, conjuring up all those times throughout your career that you ‘overcame something challenging’, ‘went the extra mile’ or ‘did something you were proud of’. While this is all worthwhile research (and you can see more about preparing for typical interview questions here), and will only serve to make you more prepared, what is perhaps MORE important is to understand why a question is being asked. Side note – it’s not a competition to outwit the interviewer either! Of course, one of the main objectives of an interview is to gain a better understanding of what has been listed on your CV, enabling the hiring manager to ascertain if you do in fact, have the correct skills for the job. Another element they want to determine, is if you ‘fit’ the company. This is in relation to the company culture, values and mission. Is your mindset and work ethic in alignment with the company philosophy? To determine this, the interviewer will want to establish if you understand the company and its purpose. This doesn’t mean that they are looking to hire a carbon copy of themselves, or the last person that was offered a position. Often, they are looking for well-articulated, considered individuals who can challenge the current way of thinking with new approaches and ways of thinking. What do you think are the best qualities a supportive manager possesses? How would your colleagues describe your contributions in your current role? Do you want a new job, or do you want THIS job? Do you want to get out of your current role or do you want to work for THIS company? An interview will mean that the hiring manger or interviewer will be able to get to the bottom of your drive and determination for this role and the employer. Employers want to see drive and passion, because this exhibits an appetite to perform at a high level and the desire to succeed. During the interview, take the time to think about your personal and professional goals, and how this company aligns with them. You should consider everything you have learnt about the company, and why you think that this role will support you in your personal objectives. There is nothing like a mutually beneficial relationship to spark motivation and determination. A conversation about goals and direction will give your potential new employer an insight into your level of self-direction, how independent and ambitious you are and your organisational skills. Hiring a new member of staff is an expensive process, in both time and money. It’s not an exercise that companies want to have to repeat because it takes them away from focusing on their core business. They will interview several candidates and want to ensure that they hire the right one, who will drive the business forward and make a positive impact on the team. Let’s be honest, naturally, you will be compared to other candidates. Some might have the same knowledge and experience, some may even have more. So, what is the next weapon in your arsenal? Only you can answer this, but whatever your response would be here, you need to communicate it with confidence and conviction. This, in itself, is an engaging quality and one that will speak volumes about your personality and how you would perform in a role. It’s important that you know, and understand, your strengths – and your weaknesses. How have these been demonstrated, and how have they contributed to your career so far? You could also reference personal accomplishments and challenges that you have overcome. Exhibit confidence in the attributes that you would bring to a role and an eagerness to learn new skills: this demonstrates a proactive and forward-thinking attitude, a quality that all employers want their workforce to possess, because it drives innovation. Your potential employer will be paying attention to your body language and the way that you carry yourself – it gives away a lot about you! You can give an interviewer reasons to be dubious within seconds of meeting you; avoiding eye contact, giving a brief, limp handshake and slumping in your seat. Even before you enter the interview, it’s important to carry yourself with an air of confidence; your potential co-workers may be able to observe you while you wait. There are specific ways that you can physically position yourself to communicate your interest and enthusiasm. For instance, leaning forward slightly rather than reclining back indicates that you are interested in the subject at hand. Avoid crossing your arms or your legs. The latter is advised by experts as uncrossing and crossing could be mistaken to fidgeting. If you are naturally inclined to use your hands while you are speak, this can underpin your personality and your enthusiasm, while stopping may make you appear as awkward. It’s highly likely that you will have some questions that you would like answered, whether it’s something that has arisen from the conversations throughout the interview, or from your research about the company – asking them is a great strategy. Coming prepared with questions, or asking them throughout the interview process, indicates that you are interested, you are prepared and that you have considered this role to its fullest extent. Well-researched questions position you as intelligent and proactive and show that you demonstrate skills and principles that are aligned with the company culture and mission, but also could perform well in the role. While it is important to embark on research before an interview, keep in mind the correct reasons for doing so. It’s important for you to be prepared for the questions that you may be asked, but it’s also important for you to gain an understanding of the company, what they do, what they stand for and what they want to achieve. This enables you to decide whether the company are aligned with your personal and professional goals, along with your values and the environment that you want to work in. If they ARE aligned, your enthusiasm and passion will flow naturally, making you far more engaged, and will allow you to formulate answers to questions that are relevant, intelligent and considered. Employers use the interview process to uncover your personality, delve into your thought process and assess how you would impact the current team, don’t be afraid to show your personality. 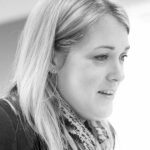 Emma blogs for the ACR jobseekers’ blog covering tips on how to stand out, managing the job-hunting process and more.